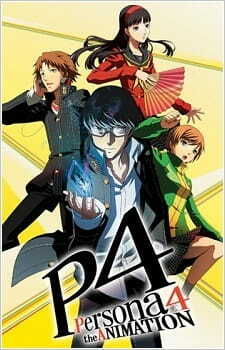 Persona 4 takes place in the same universe as Persona 3 in a rural town named Inaba. There have been mysterious murders occurring whenever there was fog after heavy rain. There were also rumors about a channel on television airing only at midnight called Mayonaka TV, during which it is said that one can see his/her "other half" when staring at the TV screen. After hearing about a recent unsolved murder which occurred during the fog, the characters—the main character, Chie, and Yōsuke—discuss how each of them had attempted to watch the mysterious TV channel and witnessed the murder victim. The protagonist later realizes that during midnight when the channel is on, his body can phase into his television set as a gateway to enter another world infested with shadows.